All of my engineer readers are probably quite familiar with the Bernoulli family, or at least their principle and equation. For those of you who aren’t, they were a Swiss family of mathematicians who sat around and came up with all sorts of interesting stuff, including a large part of fluid dynamics. 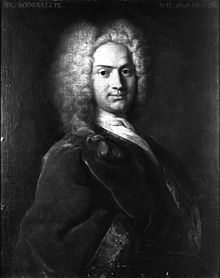 Anyway, I knew a lot of things carried the name Bernoulli (Bernoulli principle, Bernoulli numbers, Bernoulli’s equation, Bernoulli distribution…they ran a damn franchise), but I didn’t know until researching today’s problem that it wasn’t just one really prolific guy, but rather a family affair. That made me feel a bit better about things. A correspondent writes seven letter and addresses seven envelopes, one for each letter. In how many ways can all of the letters be placed in wrong envelopes? I should know the answer to this one…or to be able to figure it out. But I can't think of it right now. A can be put incorrectly in 2-7, so there's 6 options there. I don't think it's that clean. I'm figuring 7! minus a whole bunch of werd stuff is going to show up somewhere, and that will be much larger. For one letter there are 0 wrong arrangements. For 2 letters, one wrong arrangement. For 3 letters, 2 wrongs. For 4 letters, 9 possible wrong arrangements. I started working 5 by hand, and the number is over 40, but my head hurts and I may have missed something. So what's got 5! (120) minus stuff, or 4! (24) plus stuff, and comes out to something around 45? Dunno. It must be a series, so I can't intuit it in from there. I'm letting this spin for qwhile. 6 cases for the first, 5 for the second, 4 .. Wait a bit–suppose the first and second just swapped? Start from the beginning. So partitioning is the way to go. A partition of 1 always maps the letter into the right envelope, so there's no answers with partition 1. A program to count the permutations also gives 1854. And the prize goes to James! I would never have gotten there. Well, sometime after I admitted inability to think my way through it (at that moment), I hit a search engine. And found that formula. Plus a recursive one that I like better. But I figured I would wait, and see if anyone else got close.